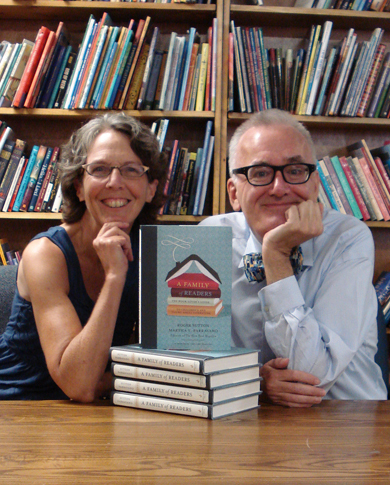 Our annual summer reading list is up, just in time for the long holiday weekend! 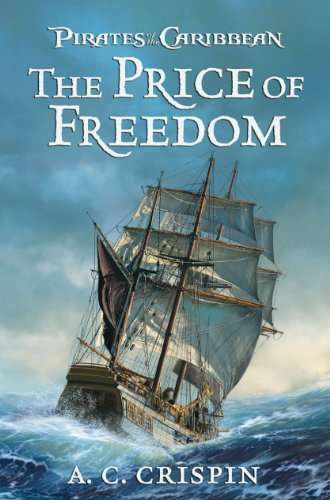 If your Memorial Day plans involve travel (and traffic), be sure to peruse the new recommended audiobooks list for road trip listening suggestions. Beauty and makeup how-to books are abundant and ever-popular—makeup artist turned beauty mogul Kevyn Aucoin’s New York Times bestseller Making Faces (Little, Brown, 1997) and his later Face Forward (Little, Brown, 2000) set the bar high. Erika Stalder (with celebrity stylists Christopher Fulton and Cameron Cohen) smartly cashes in on the genre for a young audience with The Look Book: 50 Iconic Beauties and How to Achieve Their Signature Styles (Zest Books, May). Each spread of The Look Book focuses on a signature look paired with its celebrity innovator, organized into chapters by features of the face. The examples are accompanied by background information on the icon and a discussion of her style, a famous quotation, and her best-known accomplishments, though some of the subjects (silent-movie star Mary Pickford with her “ringlet curls,” for example) may elicit the occasional “who? 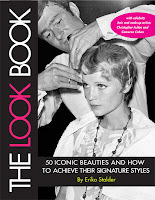 !” While Aucoin’s books include ordinary women as models in addition to the world-famous, The Look Book sticks with famous faces. Using average teens alongside, let’s say, Brooke Shields to demonstrate “natural, full brows,” would have made these unique styles more relatable and appealing to the intended audience. Regardless, the accompanying instructions are concise, thorough, easy to follow, and include important details such as who each look “works best on,” the “tools needed,” and “time it takes” to create the look. At the heart of the The Look Book are the messages that individuality and an adventurous approach are the keys to iconic beauty, and that having fun with your appearance is what’s most important—sentiments sure to inspire and excite aspiring makeup artists and divas-in-training. Get a sneak peek with Zest’s how-to videos here. 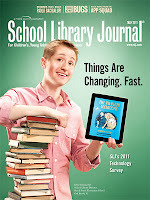 While our sister publication School Library Journal tracks major national changes in school library technology, local news also emphasizes that "things are changing fast": Boston's free daily newspaper The Metro reports that area public schools are turning to iPads for their classrooms. Boston Public elementary schools are trying a pilot program offering iPads to students on the autism spectrum, while Burlington High plans to purchase an iPad for each student. Which sparks some fascinating—if as-yet unanswerable—questions: how will e-publishing evolve as digital resources become a bigger part of public school curriculum? What criteria will (or should) administrators and teachers use to select ebooks and apps for their students? 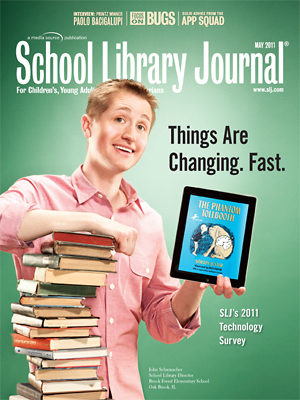 And, as SLJ editor Brian Kenney asks, what do we do about the "digital divide" between schools that can afford to keep up with ever-changing educational technology and those that can't? 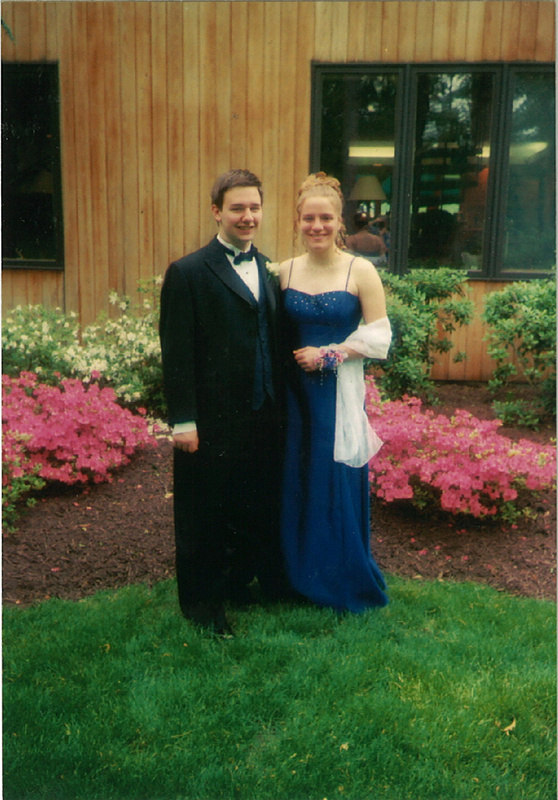 It’s prom season! 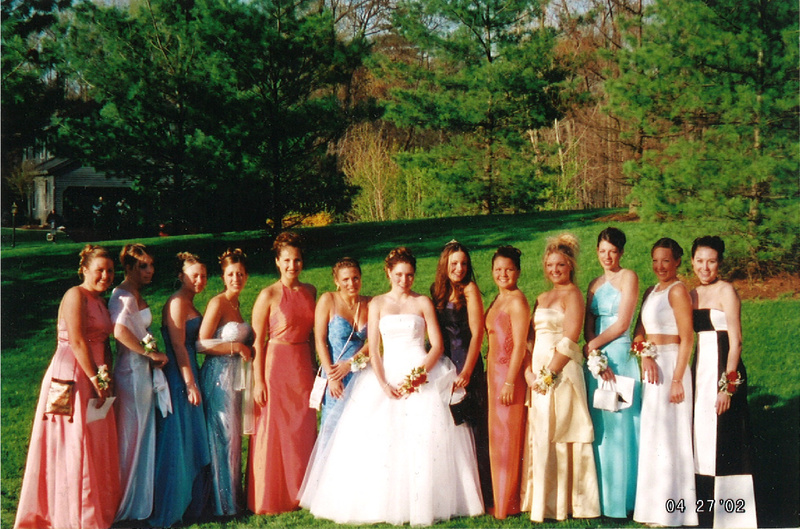 Sure, most of us have outgrown prom frenzy, but a little reminiscing never hurt anyone (except for Roger, who never went). 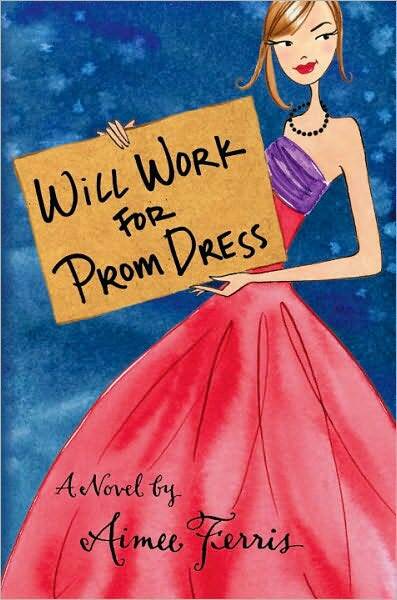 Author Aimee Ferris does just that, and encourages others to do the same, over at her blog Will Work for Prom Dress—a tie-in to her book with the same title (Egmont), in which two friends, Anne and Quigley, embark on a “Betterment Plan” for the occasion. This includes working odd jobs (starting with stints as frozen pizza assemblers) to raise money for their perfect dresses and seeking equally-perfect dates. The book is light, funny, and timely, great for reluctant readers. 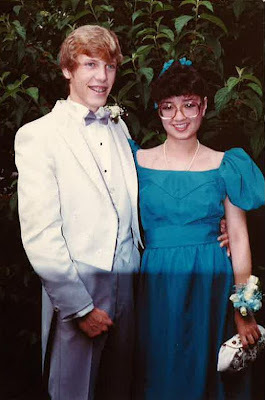 Ferris’s blog is the real draw for me—especially the prom photos of well-known authors unveiled one by one leading up to the book's February release. 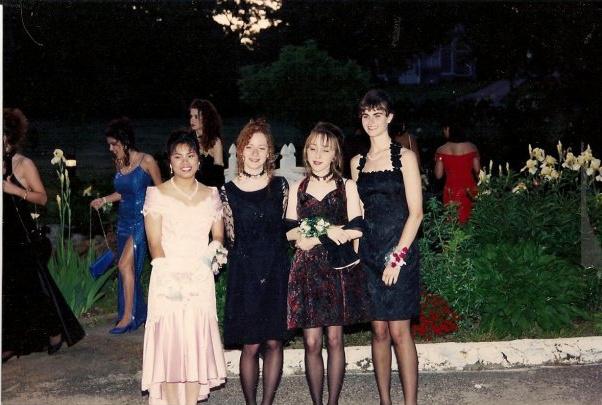 As to be expected, errors in fashion and hair–judgment abound. What do the Ezra Jack Keats Foundation and the Horn Book have in common? We both gave Laurel Croza and I Know Here an award. Congratulations on winning the 2011 Ezra Jack Keats New Writer Award, Laurel! We hope this time the news feels a little more real. 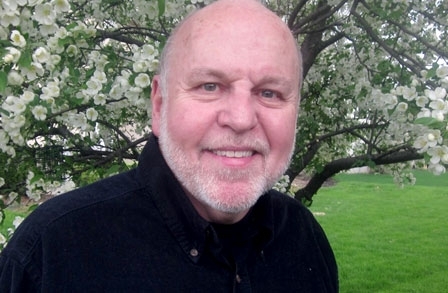 Today J. Patrick Lewis was named the national Children's Poet Laureate by the Poetry Foundation. He's the third to hold the two-year post, following Jack Prelutsky and Mary Ann Hoberman. If you read contemporary children’s poetry with some knowledge of the grand tradition from which it flows, only tone deafness can keep you from hearing echoes of the past: the lambent lines of worthies like Christina Rossetti, Langston Hughes, and Robert Louis Stevenson in gentle poems, or the inspired wordplay of David McCord and John Ciardi in nonsense verse. . . .
My own benefactors range from Eliot himself, Auden, Housman, Lear, Carroll, the Carryls—Charles and Guy, père and fils—to many other lesser-known nineteenth- and twentieth-century toilers in poetry, nonsense, and light verse. I happily confess my felonies. When poets stand on the shoulders of their forebears, they should do so with a lightness, not to say airiness, that bespeaks respect for the tradition and an unimpeachable commitment to originality. Clearly, the man knows what he's talking about: his knowledge of poetic tradition informs the originality of his own work. Congratulations to Mr. Lewis. Unfortunately, and contrary to yesterday's post, Horn Book editors Roger Sutton and Martha Parravano will not be speaking at the Eric Carle Museum on May 21st. The event has been postponed, with the new date to be announced. 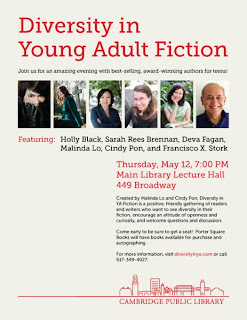 Fortunately, tonight Roger will indeed moderate a star-studded panel of YA authors discussing "Diversity in Young Adult Fiction"—7:00 p.m. at the Cambridge Public Library. Get there early to get a seat! Missing out? Sign up to receive the monthly Notes from the Horn Book e-newsletter here. 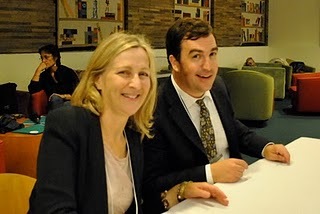 Horn Book editors Roger Sutton and Martha Parravano will share insights on children's reading from their book A Family of Readers: The Book Lover's Guide to Children's and Young Adult Literature at the Eric Carle Museum of Picture Book Art in Amherst, MA. The event (free with museum admission) is scheduled for 3:00 p.m. on Saturday, May 21st. More info available here. 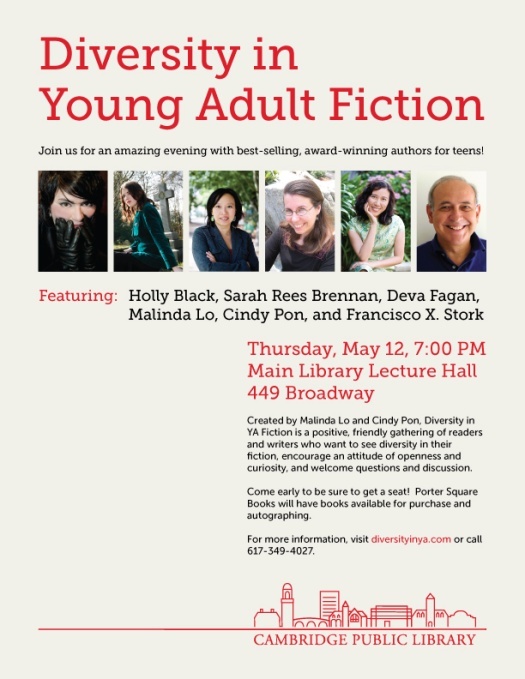 In the meantime, Roger will be moderating a panel on "Diversity in YA fiction" with authors Malinda Lo, Francisco X. Stork, Sarah Rees Brennan, Cindy Pon, Deva Fagan, and Holly Black tomorrow, May 12th, at the Cambridge Public Library. The event (also free) begins at 7:00 p.m.
Children’s author/illustrator Roxie Munro has collaborated with OCG Studios to create Roxie’s A-MAZE-ing Vacation Adventure. Sixteen screens of mini-mazes make up a gigantic maze that takes players through cities, farmland, freeways, and wilderness. Along the way, users search for hidden numbers, letters, and objects. Munro’s characteristically detailed illustration style gets revved up here. As in her books (Mazescapes, Amazement Park), the mazes are complex and varied: roads and footpaths lead to a slope to ski or a river to raft, with dead ends disguised as construction sites, road blocks, driveways to private homes, or roundabouts. The landscapes are full of tiny, often interactive, vignettes, like a zoo with elephants that trumpet and a field that blooms with flowers. One especially effective screen places amusement park rides along a footpath; following the path triggers each ride to begin moving. Similar both in concept and in organization to Mazescapes, the app’s interactivity is heightened as kids tap the screen and make things happen. Another cool feature is the ability to move from the default car to other forms of transportation (including a canoe, a raft, and a hot air balloon) in order to explore different terrains. Not every vehicle is steerable—it’d be fun to actually control the plane, for instance—but it’s still satisfying to figure out what vehicle to use to overcome obstacles and move on to the next part of the maze. 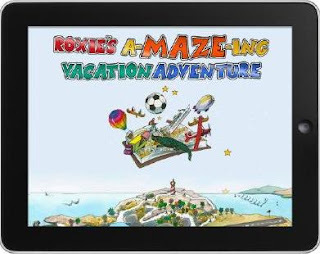 At first, I was unsure for what age group Roxie’s A-MAZE-ing Vacation Adventure is intended. It requires no reading and asks players to identify numbers and letters, which would indicate a younger audience; the mazes and seek-and-find are challenging enough for older kids and even adults. But when I learned that Munro and developer OCG Studios intended to make the app accessible for players internationally, the lack of reading makes more sense. The app is rated ages 4 and up, but given the complexity of the mazes I’d suggest a minimum of age 6. OCG Studios has a fascinating making-of blog here. Crows normally freak me out—their carrion-eating, raucous-cawing ways give me the willies. But when it comes to kids' apps, two Crows seem to know what they're doing. Loud Crow Interactive (producer of the awesome PopOut! The Tale of Peter Rabbit and Sandra Boynton apps) had better make room in the nest for Nosy Crow, whose The Three Little Pigs is an app-only retelling of the familiar tale. Nosy Crow's story is faithful to the traditional tale with a few original touches, including making one of the porcine siblings a girl and having the brick-building pig be the youngest one. While the narrative doesn't offer much that's new, the illustrations and interactive features are clever (though not problem-free) and imaginative. 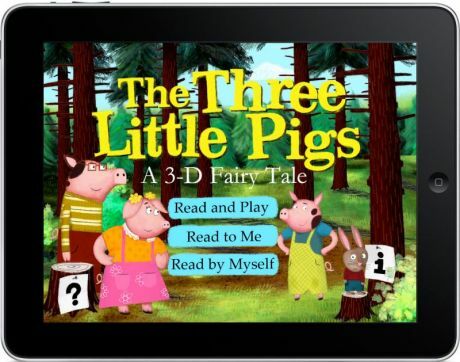 Users can choose to read the story themselves, be read to, or be read to and play along. I was skeptical about the decision to use actual kids as narrators—I was worried they'd sound irritatingly perky, like the kids on Barney and Friends—but these young readers' performances are refreshingly unaffected and engaging. Their delightful British accents don't hurt, either. Hearing the wolf's and the parents' lines delivered by child readers takes a little getting used to, however. There are lots of interactive elements to draw kids into the story, so many that it slows the story down (which may be not a bad thing, since the story will be familiar to most users). New and cool to me: at the prompt, users can choose to help the wolf huff and puff by blowing into their iPad's microphone. (If you share your iPad with a lot of people, though, you may want to opt out.) It's hard to know when you've exhausted all the things to do on a page (flip the characters, make them speak, move items on the page, shift the perspective on the page) and can proceed to the next page, but multiple viewings may help with this problem. And speaking of multiple viewings: it's frustrating not to be able to skip around in the story; to revisit a particular page, you have to go through the whole thing again. Page by page. Nosy Crow's "Three Little Pigs" is an auspicious debut, and I look forward to seeing what they hatch next. 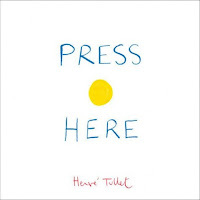 Hervé Tullet—the French author, illustrator, and ad agency art director known as the “Prince of Preschool”—has been popping up all over the office recently. 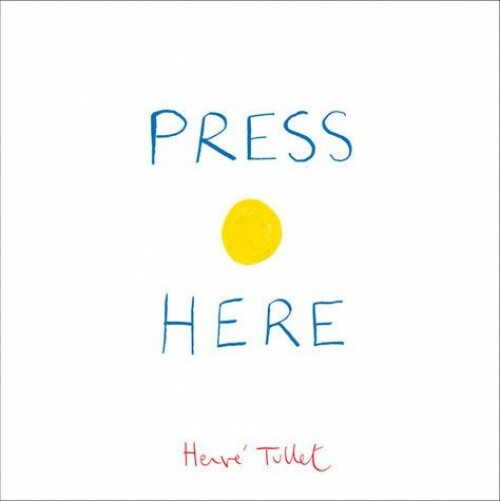 Tullet’s new book Press Here directs readers to press, rub, shake, and blow on colorful dots which then “transform” with the page turn. Chronicle’s been promoting Press Here with an adorable book trailer starring a group of kids who shriek in joy as the book “responds” to their touch—the brightly colored circles grow, shrink, slide, change color, or multiply from page to page. Like the kids in the trailer, I love how interaction and imagination bring the book to life in my hands. 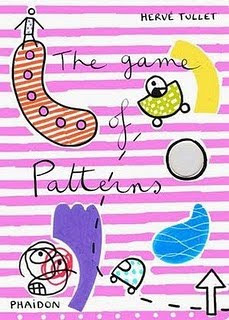 Phaidon Press just published six board books from Tullet’s "The Game of…" series. The Game of Mix and Match and The Game of Mix-up Art are your standard flip-the-flaps books; the reader can choose to either seek out pieces of a complete picture or mix different shapes and patterns. The Game of Finger Worms is more story than game; after drawing smiling “finger worm” faces on my fingers, I had a Thumbelina-esque experience popping my pointer fingers through the holes in each page and wiggling them around the world of the story. The Game of Let’s Go! and The Game of Light are slightly more abstract and may require adult help (Light involves holding the book at an odd angle and projecting shapes on a wall with a flashlight). My personal favorite is The Game of Patterns, in which opposing pages contain what looks like an identical collection of images, but closer examination reveals subtle differences. This would be an excellent (and durable!) book to have in the car or travel bag. For more on “The Game Of…” books, see Betsy Bird’s in-depth review on Fuse #8. Tullet’s The Book with a Hole (Abrams, May) is a “zany” activity and coloring book with a die-cut hole in its center. Readers can “crumple up a sheet of paper, make a ball, and play basketball” on one page; other pages encourage kids to “dress up” as “king of the castle” with their faces through the hole or to build a skyscraper to fit in the hole. As with all of Tullet’s creations, combining imagination with book interaction is the main goal, which is entertaining for readers of all ages.